In search of truck repair near Cotati? You’ve come to the right place my friend. RPM Automotive Services is a 5-star rated truck repair shop located nearby in Rohnert Park. We provide truck service to all makes and models. Our family owned, and operated business has been serving residents and businesses of Cotati for over 30 years. You can rely on our facility for highly trained auto technicians, quality work, and responsive customer service. Our ASE Certified technicians receive continuous training to stay on top of the technological changes to the auto industry. We have diesel specialists as well that can handle any truck service or truck repair near Cotati that you’re looking for. 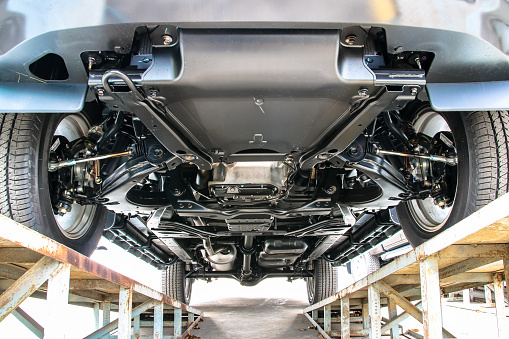 Our truck repair shop is even equipped with an in-house automotive machine and engine shop. Whether you need a new or rebuilt engine, your brakes failing, your truck won’t start, or anything in-between, we can help. Looking to get the best performance possible out of your truck? We also provide Dyno Tuning. We have a team of dyno specialists that utilize the latest tuning products and tools when they are working your vehicle. We primarily tune domestic vehicles; fuel injected and carburetted on our Dynojet 248H with Dynoware RT software. We tune factory fuel injection on Ford and GM products with HPTUNERS and SCT. We also specialize in EFI conversions and tuning a wide variety of aftermarket fuel injection systems. Additionally, we tune a wide variety of different carburetors from a single barrel OE style to 1000CFM dominators and everything in between. Learn more about what we have to offer by visiting our performance page. Give us a call today to schedule your appointment for truck service at our truck repair shop near Cotati at (707-800-4586). Or, schedule your appointment online here. We look forward to inspecting your vehicle and being your go-to location for all of your automotive repair and maintenance needs.